More on the ProMounts Universal Articulating TV Wall Mount for 32 - 55 in. Displays (Black) UA-PRO230 below. 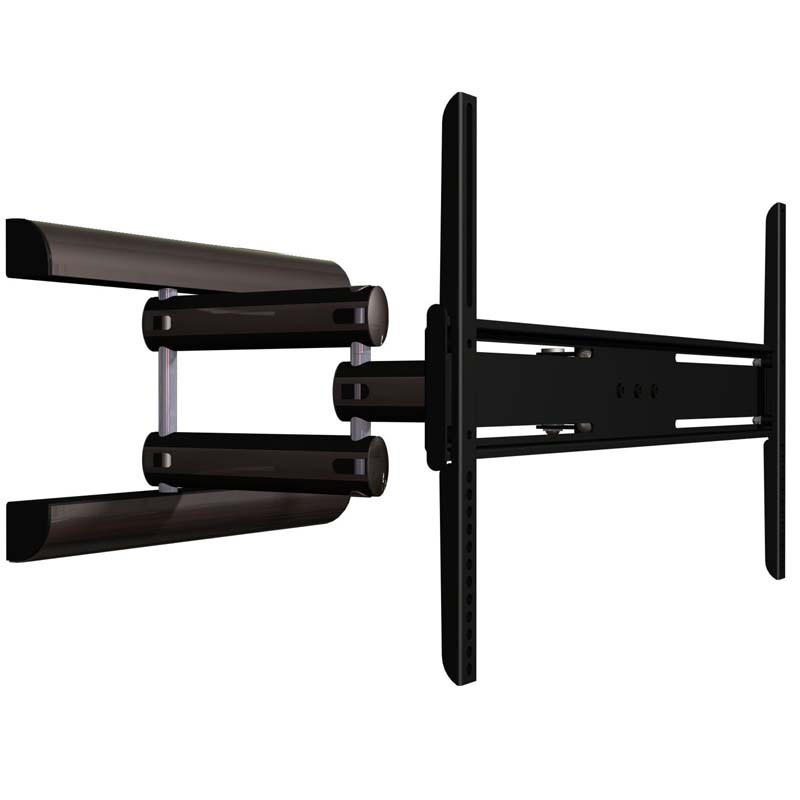 A modern design for an extremely flexible, articulating universal wall mount for large flat panel displays. The UA-PRO230's heavy duty single-arm double pivot is designed for maximum extension, folding flush to the wall and viewing from multiple positions. Universal mounting pattern will fit virtually any flat screen TV from 32" to 55" and up to 150 lbs. Fits Screens from 32" to 55". 32" to 55" flat screen TVs up to 150 lbs. with 200x200 to 800x400mm mounting patterns.